Utilizing high quality raw material and advanced production technique, Sicer develops a new generation high-performance product that is used to filter liquid metal. 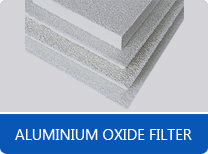 This product has three-dimensional structure with low bulk density, high porosity, high temperature and chemical corrosion resistance and high surface area characteristics, and can be applied in molten metal filter, gas processing, catalyst carrier, heat exchanger and special filler in metallurgical industry. 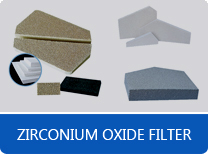 With our leading edge in inorganic non-metallic materials, Sicer develops aluminium oxide filter, zirconium oxide filter and silicon.